A portable generator is essentially a mobile combustion engine that is used to generate power when you are away from the national grid. Generators are essential in emergency situations such as power outages and natural disasters, and they are also necessary for typical day to day life, where electricity may not be on hand, such as building sites and camping. Having a generator as a power source when camping is a real luxury and can provide access to all your home comforts where 12-volt power is just not adequate. Generators can come in a wide variety of powers and sizes to suit all situations, from camping to powering buildings. How the generator is constructed and how you are using it depends on whether your generator needs to be grounded or not. For detailed recommendations, we recommend visiting the OSHA government website for the latest official guidance. 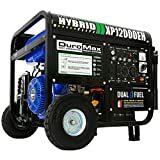 Most modern portable generators that you would use on a camping trip typically don’t require an electrical circuit to be grounded. Some older models and generators that produce a larger output will need you to connect them to a ground source. Grounding (or earthing) as it says in the name, is the process of connecting an electrical circuit to the ground. It is an essential safety feature of an electrical circuit and protects against electric shock if there is a fault with any of the electrical equipment in the chain. 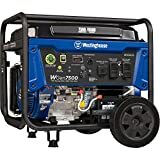 Grounding a generator typically involves connecting a copper pole into the ground and attaching it via copper wire to the generator ground plate, to ensure the electrical current is grounded and safe. Let’s look in more detail how to ground a generator when camping. How Do I know if I need to ground my generator? To find out if you need to ground your portable generator, the easiest way is to check the recommended instructions from the manufacturer. If your generator is a “separately derived” system, it is essential that you use a grounding rod. However, if your generator is not a separately derived system, then there is no need to provide a ground in connection. 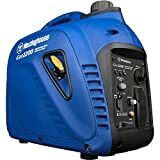 If you don’t have the instructions on hand in situations like camping, then the easiest way to recognize whether your generator needs grounding is to look at the generator transfer switch. If your generator has a transfer switch that cannot be transferred to the neutral ground conductor, it will not need to be grounded to the earth using a separate grounding rod. This configuration is called an “unseparated derived” system. 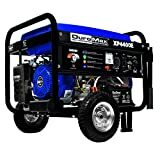 Most modern portable generators use this system. The earth connection for the circuit is already in place. The engine is bonded to an external metal frame, and this metal frame acts as the ground Earth, allowing the current to be passed on to a different circuit from the engine (the frame). NB. If you are using a large generator of more than 10 kilowatts an hour, it is recommended that you always ground your generator, although this would be highly unlikely when camping. How do you ground a generator? 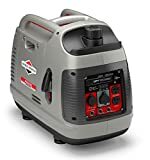 To ground a generator, you are going to need a few essential tools that you will most likely already have stored in your garage. As with any task, it is a lot easier if you have the correct tools for the job at hand. You will, however, need to buy a few specific items to complete the task. It is possible to do the same job with a blade or the side of a pair of pliers, but wire strippers make the job neater and faster, so you have more time to enjoy your camping trip. The terrain you are driving the copper rod into will determine the tools you use and the technique. If the ground is firm, you will need a sledgehammer, as the rod needs to be driven deep into the ground. If it is soft, then you may well be able to use a lump hammer or mallet. Make sure this wrench fits the size of the grounding bolt connected on the pole and the generator. There are lots of copper grounding wires available, and in the home, typically the grounding wire is bare copper. It is recommended for external use to buy a heavy duty green insulated copper wire, which is made specifically for outdoor use and quickly identifies the ground connection. A copper grounding rod should be at least 4 feet long. Take the copper grounding rod and in a suitable location close to the generator, hammer the rod into the ground ensuring it is driven all the way into the ground, leaving about an inch on top to fasten your connector. To make this process more manageable in the hard ground, you may need to dig a small starter hole using a shovel and then hammer the rod into position and backfill the hole with dirt. If the ground is too firm deeper down to allow this to happen, then you can drive the rod into the ground at a 45-degree angle. In situations where it is impossible to drive the rod into the ground, a suitable alternative is to dig a small channel horizontally across the earth. This channel should be around 2 feet deep. Then, lay the rod horizontally across the channel and cover with rocks and soil. Using the wire stripper, strip back the copper wire and connect the end to the copper ground rod securely using the pliers. Strip the other side of the copper wire and connect this to the grounding bolt that will be on your generator. To do this, you will need to unscrew the grounding bolt copper wire around the fixing with the pliers and then tightly fasten the bolt with the wrench. Grounding your generator is an essential part of setting up your camping equipment if the generator requires it. It will ensure safety when you are in remote situations and it reduces the potential for injury and fire. Regular campers should invest in a quality unseparated generator system as this will save a lot of time during camp set up and ensure you have safe and efficient power access. Can You Parallel Two Different Generators? What Is the Difference Between a Generator and an Inverter? Can A Generator Run in The Rain?